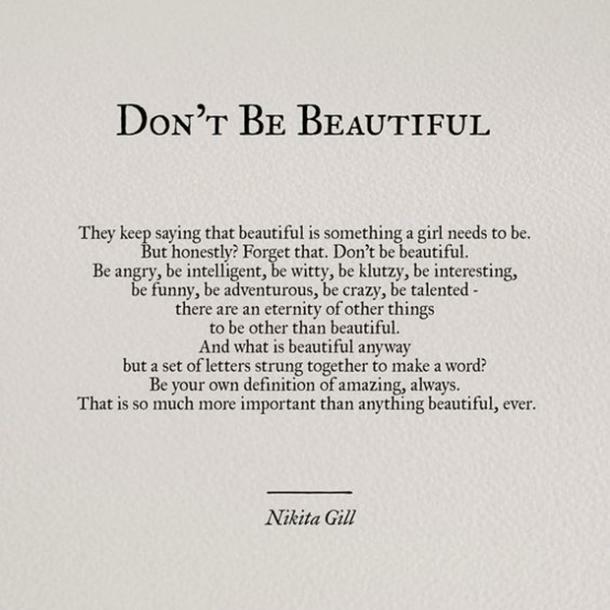 “Don’t be Beautiful” …be so many other things. The response to that post was once again remarkable and it resonated with so many of us. What was made clear in over 1800 shares, 166K+ people reached and the resulting comments was there is still a cry for a real discussion about this. About beauty – and what it means. “And what is beauty anyway …” the quote asks. So I wanted to take a go at a description that we can shape as our own. I’d love if we worked on it together, that you sent in your own words and feedback, for us to come to a Tribe (Pride) Consensus and then I’d love to add a “Beauty Pledge” to our W3 site as a reminder – a reminder to refuse to get swept away by other definitions that continue to swirl around us. Our Beautiful, has nothing to do with our physical shape, size, or appearance. Our Beautiful has everything to do with our heart, our mind, and our soul. Our Beautiful is in how we treat others, and Our Beautiful is in how we treat ourselves. Our Beautiful is in how we give of ourselves, to bring a smile or comfort to one more soul before we rest our own. Our Beautiful, is how we look at nature, poverty, and illness and then what we do after we look. Our Beautiful is powerful, majestic, led by the warrior spirit that has spanned the centuries and been passed from our ancestors. Our Beautiful is soft and sweet like spring rain – nourishing our families, communities, tribes, and the environment around us. Our Beautiful is honest – and sometimes “ugly” in that honesty. Our Beautiful is quirky, unique and weird – and celebratory of each of us that looks different, thinks differently, acts differently, IS different. Our Beautiful is non-judgemental and sister-strong. We are beautiful in so many ways, and we must try to be less concerned with the kind of beautiful that makes people stop and stare, and be more interested in the kind of beautiful that makes people stop and think. To whom are you beautiful for? Inside. When you look in the mirror – no not that regular one in your bathroom that shows your “outside” appearance. That special magical mirror – when you look there – and it shows you your “inside” – what do you see there? What is it that shines there that is contributing to your beauty? 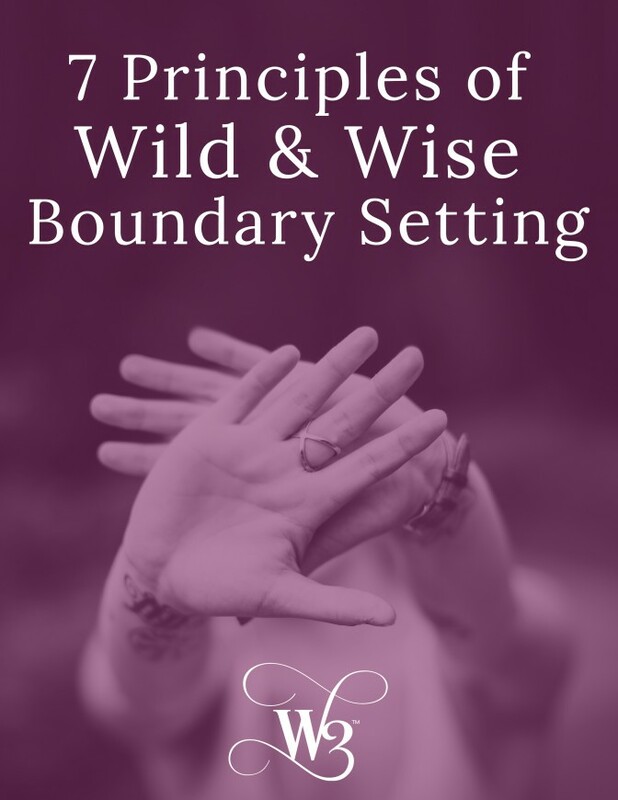 I will be posting in the Wild and Wise Women Facebook Group, and hope you will add your words, phrases, characteristics, descriptions to “What is beauty anyway ….” as we develop W3’s “Our Kind of Beautiful” Pledge. The W3 challenge we are putting to you my gorgeous W3 – is to look for beauty, to find beauty and to be beautiful, “Our Kind of Beautiful” – over here at W3.